The Interlocking Concrete Paver Institute is the foremost authority in education & research for the concrete paver industry. The ICPI concrete paver installer certification is earned through completion of coursework, passing a certification exam, demonstration of installation of 10,000 square feet of paver installation, and attending annual training courses to learn about the newest methods & products in the hardscape industry. 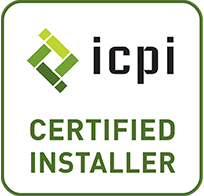 As an ICPI certified concrete paver installer, we understand & implement the industry best practices when installing your pavers, ensuring a beautiful hardscape installation, and providing you with the peace of mind to know your investment is built to last. WHAT IT IS: As a Belgard Authorized Contractor we offer product consistency, delivery efficiency, and an unmatched level of service. To become an authorized contractor the following criteria must be met: recommendation from a Belgard dealer/sales representative, certified ICPI, satisfy installation requirements, and much more. Belgard Hardscapes is the only hardscape manufacturer to be granted the Good Housekeeping Seal. The Good Housekeeping Seal means that if a product bearing the Seal is defective within the first two years of purchase, Good Housekeeping will replace the product or refund the purchase price. WHY YOU CARE: Belgard products come with a lifetime warranty and a TWO-year warranty on installation. Your patios, walkways, retaining walls, and firepits are built with the absolute best product. You can have peace of mind knowing that your hardscape is backed by an industry leading company. As a Belgard Authorized Contractor, we are able to offer several great financing options through the Belgard Preferred Payment program. The National Concrete Masonry Association is the foremost authority in education & research for the concrete & masonry industry. The NCMA segmental retaining wall installer certification is earned through completion of coursework, passing a certification exam, demonstration of 2,500 square face feet of segmental retaining wall installation, and attending annual training courses to learn about the newest methods & products in the hardscape industry. As a NCMA certified segmental retaining wall installer, we understand & implement the industry best practices when building segmental retaining walls, ensuring a beautiful hardscape installation, and providing you with the peace of mind to know your investment is built to last. WHAT IT IS: The Certified Landscape Irrigation Auditor program, offered through the Irrigation Association, trains irrigation professionals to quantify and analyze landscape irrigation water use. The CLIA certification is earned through completion of coursework, passing a certification exam, completing an approved irrigation audit, and attending annual training courses to learn about the newest methods & products in water conservation. Irrigation audits include several tasks: collection of site data, determination of irrigation system uniformity & efficiency, development of recommended irrigation schedules, and recommendations of irrigation repairs & improvements needed and recommended system maintenance schedules. WHY YOU CARE: As a certified landscape irrigation auditor, V.I.P. Landscaping has skilled personnel who understand & implement the industry best practices when installing & servicing irrigation systems, and are equipped to provide you with an irrigation system audit. 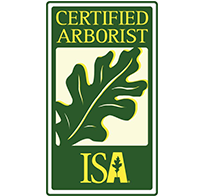 WHAT IT IS: The Certified Arborist program, offered through the International Society of Arboriculture, trains tree care professionals to in developing & maintaining effective tree and plant health care programs. The Certified Arborist certification is earned through completion of coursework, passing a certification exam, and attending annual training courses to learn about the newest methods & products in tree & plant care. WHY YOU CARE: As a Certified Arborist, V.I.P. Landscaping has skilled personnel who understand & implement the industry best practices when designing your landscape, installing your trees & plants, and in maintaining your landscape as it matures. WHAT IT IS: EZ-FLO automated fertilizing systems allow the injection of fertilizer into your existing irrigation system(s). Through the EZ-FLO system's patented technology, small "micro-doses" of fertilizer are gently fed to the trees, plants, & flowers each time the irrigation system runs. This encourages more healthy & attractive trees & plants, and promotes stronger root systems. 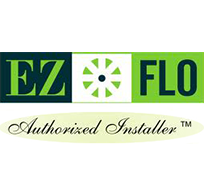 The EZ-FLO Authorized Installer certification is achieved through demonstrating proficient understanding in how plants and trees uptake fertilizers, the benefits of different micronutrients & macronutrients to plants and trees, and how to utilize EZ-FLO fertigation systems to provide the necessary nutrients to a landscape. WHY YOU CARE: Being an EZ-FLO authorized installer, we can help build a custom fertilization program to ensure your landscape is fertilized properly, which will ensure you a beautiful landscape for years to come. WHAT IT IS: Provided through the Southern Nevada Water Authority, the Water Smart Contractor program serves the Las Vegas valley through training & implementation of programs designed to preserve water and minimize water waste. Certification through the Water Smart Contractor program is achieved through completion of initial coursework, passing a certification exam, and attending annual training courses to stay up-to-date on industry products, methods, and information promoting water conservation. WHY YOU CARE: As a Water Smart contractor, we understand & implement the industry best practices when designing & installing your landscape. At the completion of your project, you will have a beautiful landscape, built with water conservation principles & SNWA watering guidelines in mind.